It is not every day that one meets two U.S. Special Forces team members in-person, but on Jan. 8, the Phoenix Film Festival did just that! Mark Nutsch and Bob Pennington stopped in Phoenix to share their experiences and thoughts on director Nicolai Fuglsig’s action film, “12 Strong”, the real-life story of the first Special Forces unit sent into action in Afghanistan after 9/11. Chris Hemsworth and Michael Shannon play Mark and Bob, respectively, but their on-screen names were changed to Captain Mitch Nelson and Chief Warrant Officer Hal Spencer. 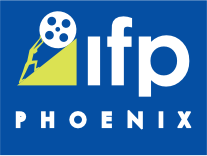 Mark and Bob offered generous amounts of their time and positive energy with the Phoenix Film Festival and other media outlets during this group interview, as we intently learned about their unique and dangerous workplace. “12 Strong” arrives in theatres on Friday, Jan. 19. Q: What struck me about this movie is that all 12 men were singularly-focused. They were looking forward to this mission and wanted to be the tip of the spear. Is that always the mentality of Special Forces, or was there something extra, because of this circumstance? BP: This is the World Series. This is the Super Bowl, the pinnacle of what all Green Berets dream about. This is going into a country and conducting the one principle task of the nine principle tasks that we have: unconventional warfare. MN: Yes, the historic fact was not lost on us. This is right after 9/11, but (today), there are Special Forces teams internally competing to get the best missions, the best training and to deploy to probably 80-plus countries around the world. (Missions like) working with local partners and trying to tackle immense challenges with security or extremism, or to advise towards improving economic development. Someone has to go out there to those far edges. The best people to do that are Special Forces. That’s how it is. That’s how all Green Berets think. Yet, we get tired. We do get rundown, and it is happening more so. The Force has to build back up, so we can continue to fight throughout the world. That’s what it is, it’s a fight throughout the world. Q: Did your individual trust in each other mature as well as it did in the movie, or did it take time? MN: I had been with the team for two years already, and we deployed a half-dozen times to the Middle East, and I had about as much experience as a Special Forces officer could have in preparing for this mission. The team already trusted each other, because we had been through some pretty grueling training already. Our team had incredible amounts of experience. The average years of service was eight. We were not a young team. Our average age was 32. BP: Eleven of the 12 team members were married. MN: Ten of us had kids. Just incredible amount of experience - nine qualified snipers - but there were some adjustments on the ground. We had to adapt to (ride) horses (and) the situation. We had to continue to trust each other. Every guy on the team provided input and played a critical role in what had to happen that day for our own safety, to help us survive the next five minutes, the next hour. Q: It sounds like your experience in all of your other missions really prepared you for this on-the-ground situation. MN: Special Forces guys typically come from different backgrounds. I grew up on a cattle ranch in Kansas and “rodeoed” through high school and college. Who knew how critical the ability to ride, understand horsemanship and maneuver-warfare on horseback would be? Q: This film is based on Doug Stanton’s 2009 book called “Horse Soldiers”. Were you involved with the book? BP: Some of it. Now, I talked to Doug for at least five or six hours, a little more than Mark was able to. MN: Doug had limited access to our team. After those initial interviews, we were not involved in Doug’s book. We talked more with Doug since the book was published. It’s a complex story. There were other Special Forces teams in other parts of the country who did amazing thing also. Some had books written about them. Some have not, but yet did amazing things that are known in our community. BP: Mark always wanted Thor (to play him). I wanted Ryan Reynolds, since I’m a little bit of a clown, (but) I talked to Michael Shannon for two or three days, and he’s a pretty thoughtful guy.